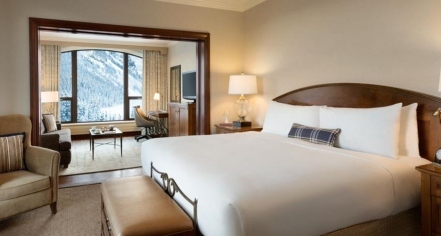 The 552 elegant guestrooms at Fairmont Chateau Lake Louise feature magnificent views of Lake Louise and the Rocky Mountains. This luxury resort is the finest site in Banff National Park to unwind, relax, and enjoy the view. The opulence of bygone eras has been preserved at the Fairmont Chateau Lake Louise in addition to modern amenities, heartfelt service, and well-being. Guests in newly renovated suites are treated to exclusive amenities and services such as private bedrooms, separate living areas, a dedicated suite concierge, and complimentary breakfast. Fairmont President’s Club members are also entitled to complimentary internet access. 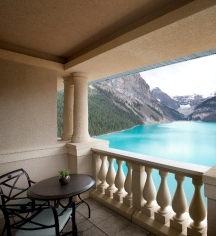 Those who stay at Fairmont Chateau Lake Louise are bathed in understated elegance no matter which room they choose.